I received this product free to facilitate a review and provide my honest opinion. All opinions are 100% my own and may differ from yours. I will only endorse companies, products and services that I believe, based on my own experiences, are worthy of endorsement. A few weeks ago our clothes dryer quit working. There’s no good time to have a dryer quit working, but if you’re a parent, not having a dryer (and/or washer, for that matter) is really not a good thing. Laundry is never ending in my home. I will admit when our dryer quit I panicked for a moment… or two. Luckily my husband is a DIY man and a tinkerer and was able to repair it after ordering a part for it. 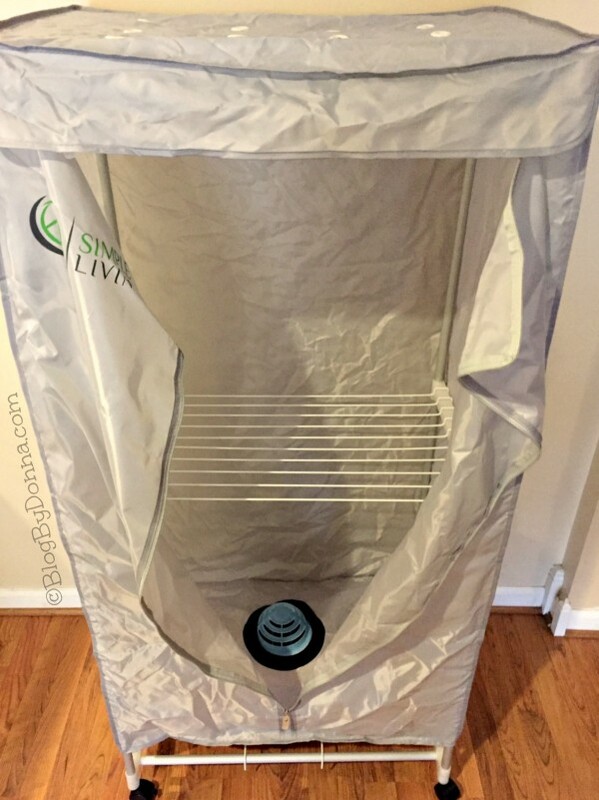 So when I was given the opportunity to review the Simple Living electric portable clothes dryer, I jumped on it. Now I don’t need to worry about being without a clothes dryer since I have the Simple Living clothes dryer. 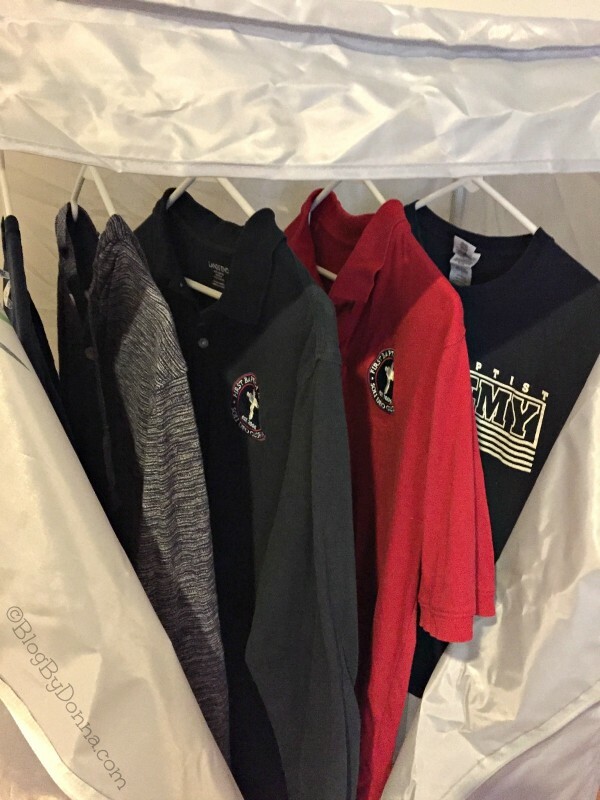 Another reason I’m glad to have a portable dryer is for my son’s school uniforms and my clothing items I hand wash and hang to dry. I’ve never dried my son’s clothes in a conventional tumble dryer before because I don’t want them to shrink. 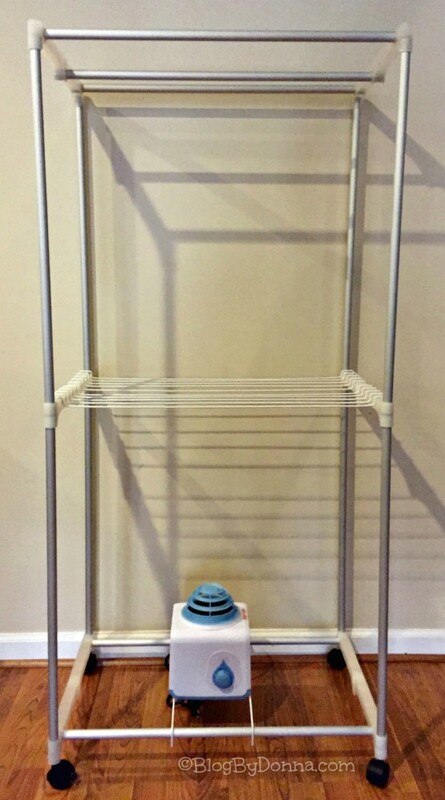 This portable electric clothes dryer is perfect for all the clothes I don’t want to put in our traditional dryer. And I love that the dryer has drying racks… perfect for smaller items, like socks and underwear or clothing you lie flat to dry. Just hang your clothes on hangers or use the drying racks and your clothes will be dry in approximately 30 minutes. 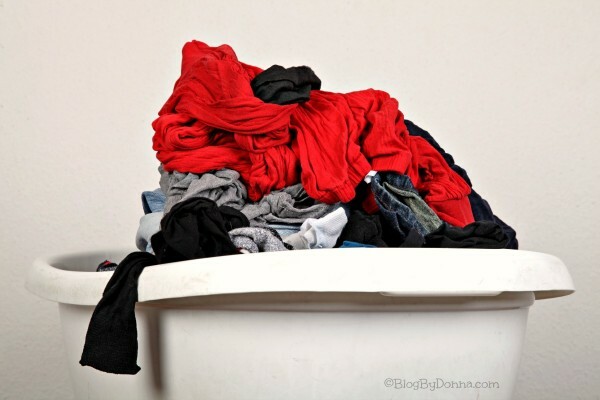 If you have heavier items like towels, for example, it takes longer to dry, but still, about the same time it takes clothes to dry in my traditional clothes dryer. The Simple Living dryer is very economical. Right now it’s on sale for $74.99. I know, what a bargain! It sure beats the price of paying for weekly laundromat visits. This portable dryer dries clothes quickly and efficiently. 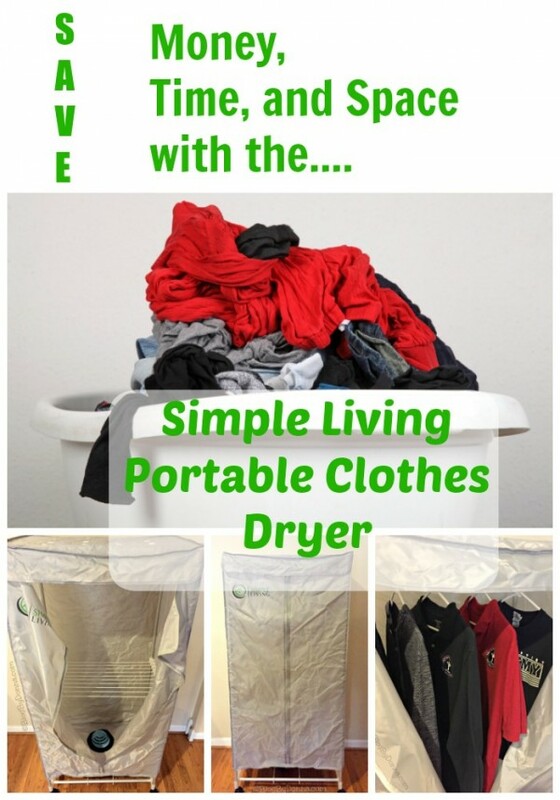 The Simple Living Portable Dryer is a great space-saving dryer. It’s perfect for small apartments, RVs, dorm rooms, boats, or even larger homes like mine. I now have a dryer to supplement the dryer I already have or if mine quits working again. Assembling the portable clothes dryer took less than 15 minutes, and it is incredibly lightweight. You can easily move it from room to room. It is so quiet, even more so than my traditional clothes dryer. I also love that it’s gentle on your clothing, unlike a conventional tumble dryer, especially on your delicates. It does not require vents or special outlets. 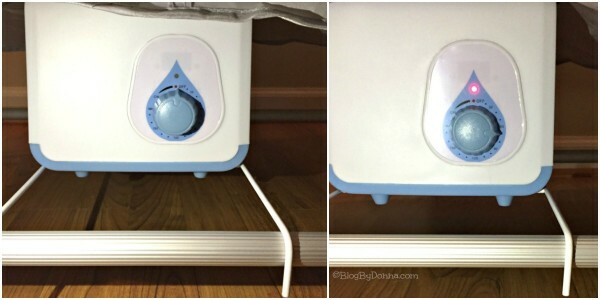 You just plug it into your regular outlets, set the timer, and in no time you have dry clothes. 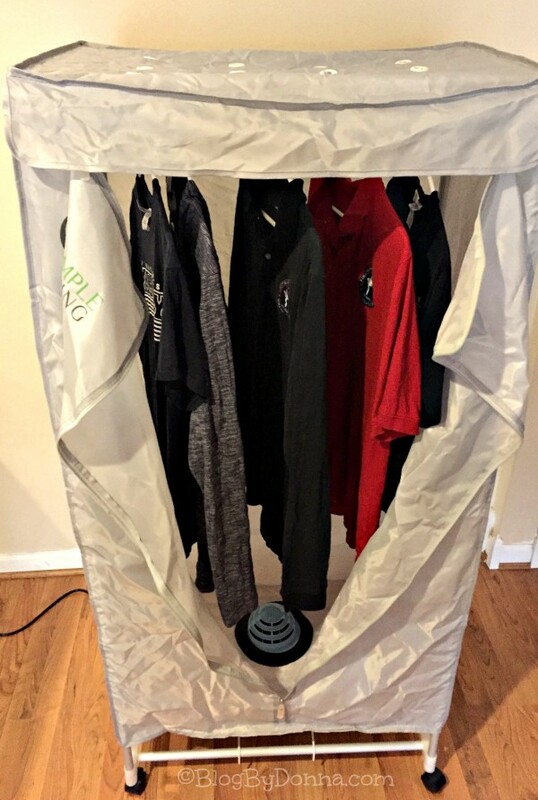 If you are in the market for a clothes dryer and you’re on a budget or don’t have a lot of space, or don’t want to have to lug your laundry to the laundromat all the time, I highly recommend the Simple Living portable clothes dryer. 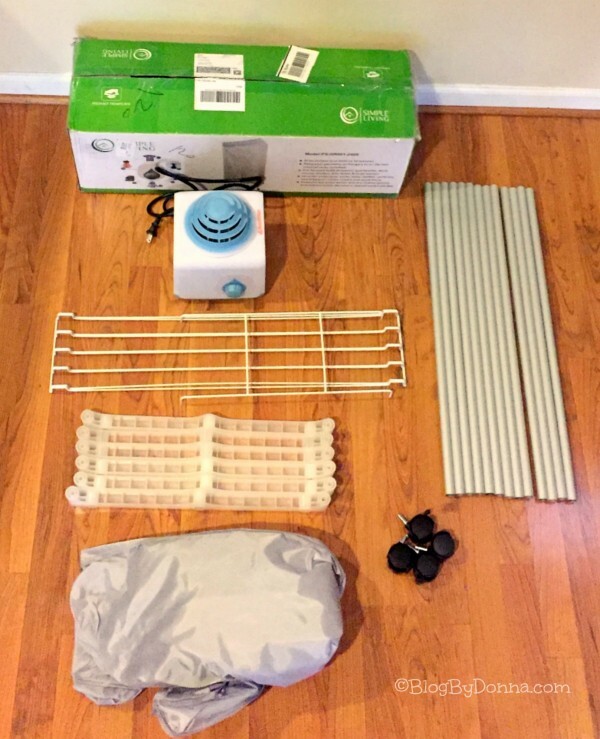 You will save time, space, and money with the Simple Living portable clothes dryer. 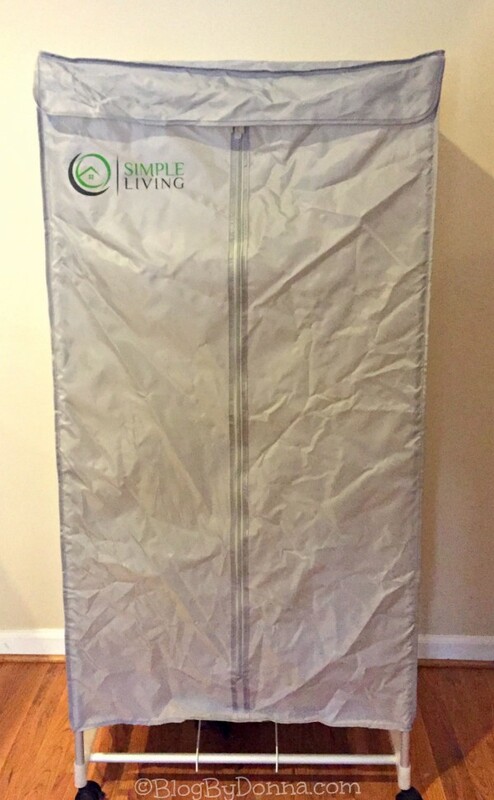 Right now Simple Living is giving away their round portable clothes dryer. Enter HERE! never knew there was such a thing! Interesting. Wow! I’ve never heard of a portable dryer before. It’s a brilliant idea, though. That is so cool. It’s a great idea to have for emergencies. Thanks for posting! I never knew one of these existed, will definitely check it out. I have never seen one of these in my life, but I want one badly!Sadly I can not afford on yet hopefully soon. Lisa, it really is a bargain when you have the money. 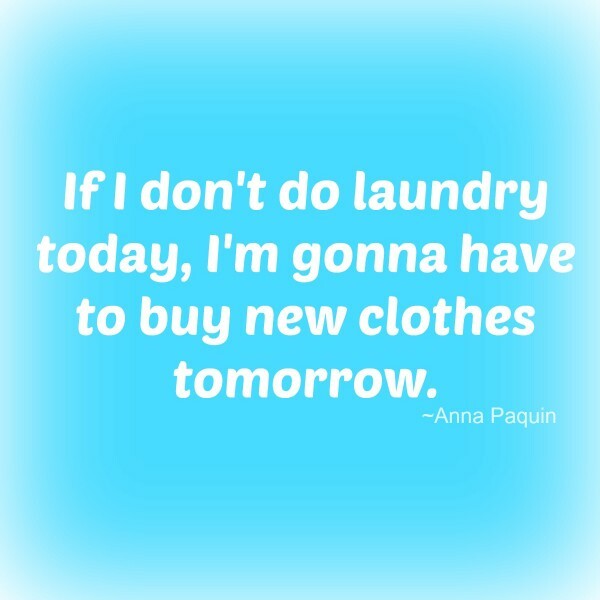 It is so much cheaper in the long-run than going to the laundromat all the time. I have never seen one of these dryers, or even heard of one. It sounds perfect for a college student or someone living in an apartment without a laundromat. This would be perfect for my son who never sorts laundry when wash ing or drying. It would cut down on shrinking, fading and wrinkles. The price is reasonable enough to give it a try, it would come in handy! That is a great invention. Light, portable and easy to use. I LOVE THESE!! I have a similar but smaller one! Would LOVE one this size! Same I don’t like putting my kids clothes in the dryer..way too expensive for them to shrink! And they shrink way too fast in the dryer! This is the neatest thing! I really would love to have it!